Indian Prime Minister Narendra Modi, with just weeks to go before polling begins for elections in the world’s largest democracy, has declared his country a “space superpower.” The grounds for that declaration were a technical accomplishment: an indigenously developed Indian ground-launched missile successfully shot down one of the country’s own satellites in low orbit, some 187 miles above the Earth’s surface. India’s accomplishment is significant, but it’s not without risks — both in the region and for the burgeoning militarisation of space. What India demonstrated is no simple feat. New Delhi did gain entrance into a fairly exclusive club of countries that have shown themselves capable of destroying satellites in low Earth orbit. What he obscured, however, is what the accomplishment says about India’s burgeoning missile defence capabilities and how they might be perceived by its neighbours. Fundamentally, using a “hit-to-kill” interceptor to destroy a satellite in low Earth orbit and destroying, say, a Pakistani nuclear-armed missile re-entry vehicle on ballistic trajectory outside of the Earth’s atmosphere are similar tasks. The former travels at an amazing 28 times the speed of sound but on a highly predictable path. The latter is slower, but it can appear suddenly in the throes of a crisis, giving ground crews less time to prepare. Ballistic missiles can also create additional challenges by introducing countermeasures to trick missile defences. 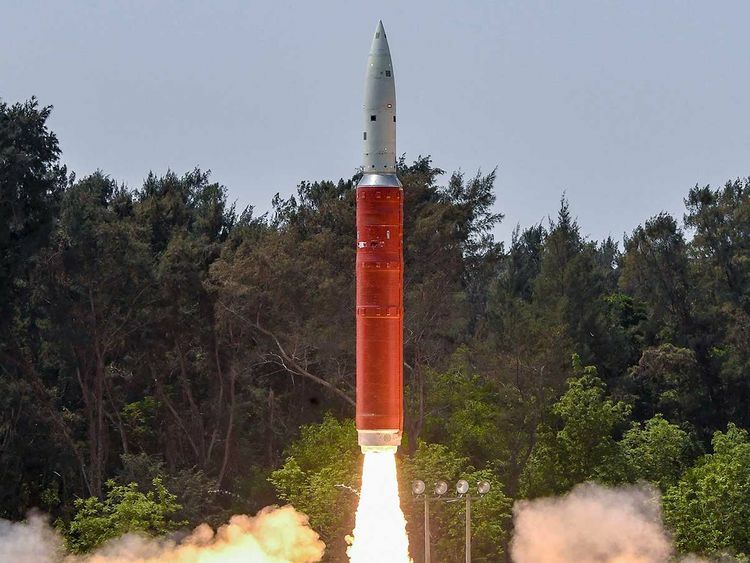 For Pakistan, watching India’s successful anti-satellite demonstration will be a reminder that what it presumes to be a secure nuclear second strike today may not be so tomorrow. For China, India’s demonstration will be less concerning. Any conflict where India would find it useful or even plausible to contemplate shooting down Chinese military satellites would be an all-out war. Outside the ramifications on its neighbours’ military planning, India’s test heralds a new age with regard to “hit-to-kill” technologies being deployed for anti-satellite purposes. In 2007, China irresponsibly conducted a high-altitude anti-satellite test that created debris that will remain in orbit for decades, threatening other satellites. After that, there was some hope that a global ban on testing these weapons against satellites might have been possible. Partly in reaction to that test and amid a recognition that militarisation of space was accelerating, the European Union proposed a nonbinding draft international code of conduct for space activities; that effort went nowhere. Those hopes were undermined when the George W. Bush administration, one year later, authorised an American demonstration of an anti-satellite capability using a ballistic missile defence interceptor. That test succeeded, demonstrating that the very same interceptors the US deploys on land in Europe and at sea on its Aegis destroyers could also be used against satellites with a few software tweaks. Reacting to the Indian test, acting US secretary of defence Patrick Shanahan underscored that there are “certain basic principles” that must be followed with these tests. The Trump administration is not known for its fondness for arms control, but it should seize on Shanahan’s observation and pursue a multilateral process to codify norms — even if nonbinding — on anti-satellite weapon testing. The Indian government has correctly noted that its test violated no “international law or treaty.” But given the risks of these kinds of tests, this shouldn’t have been the case. One basis for a norm may be to use 187 miles — or 300 kilometres, the approximate altitude of the recent Indian intercept — as a cut-off point for any future anti-satellite testing activity. That altitude is comparable to the 150 miles at which the United States conducted its test in 2008 and generates debris that is prone to quickly decaying in orbit and burning up in the atmosphere. Of course, a complete test ban would be preferable, as debris creation in orbit altogether should be beyond the pale, but that appears out of reach now. Above all, India’s anti-satellite test is a reminder that technologies that had previously been considered within reach of only the world’s superpowers are no longer exclusive. Modi celebrated the ingenuity and hard work of Indian scientists in realising this capability, but there’s little unique to India’s circumstances that made the realisation of last week’s achievement possible. Other countries can and will follow. Before that happens, it’ll be time to have set rules of the road. Ankit Panda is an adjunct senior fellow at the Federation of American Scientists.